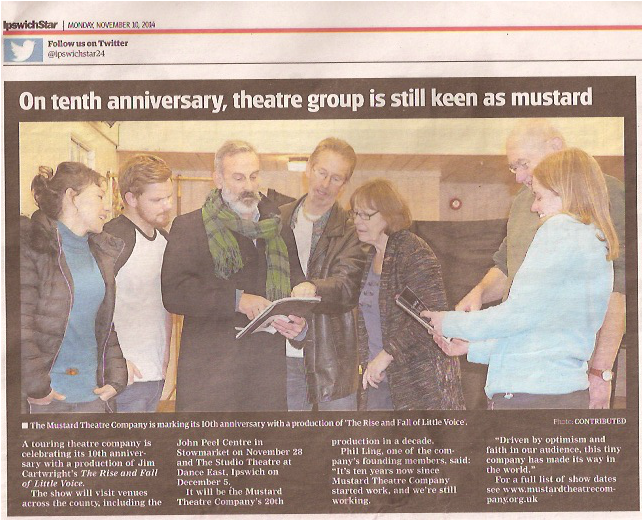 Established in 2004 as a touring amateur theatre group taking drama to venues in Suffolk that didn't traditionally have access to theatre/drama, Mustard Theatre Company has evolved and now takes on dramatic productions that stretch themselves and their audiences. We have stayed loyal to our touring status and now include top class theatre's in the region as well as arts venues. 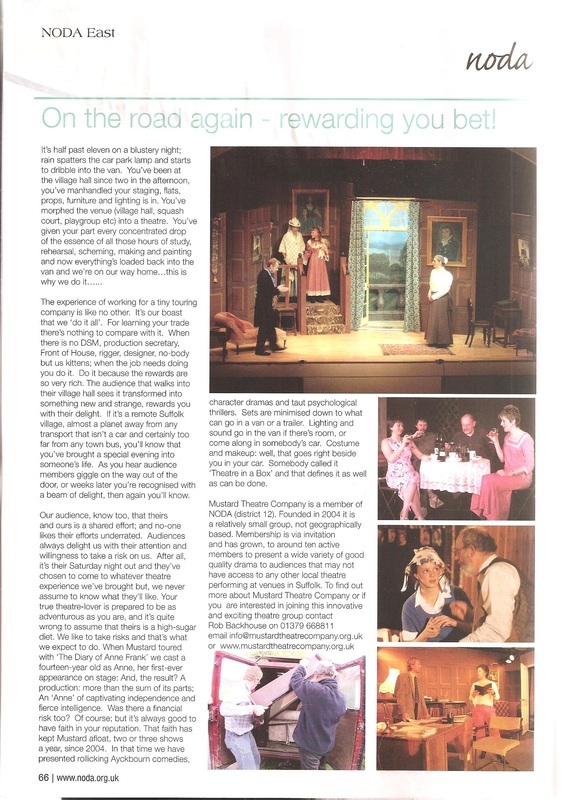 Link to article in Amateur dramatic magazine amdram.co.uk 23/10/2014. Reproduced below.